How does your garden grow? This year in Vermont most are growing with A LOT of water! Yikes!!! If you got a late start because of the weather (like most everyone did) no worries. 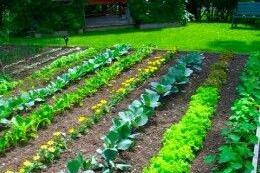 We still have all you need to fertilize, weed and keep pests away from your garden. I come from a long line of gardeners but I am not gonna lie. I do not garden. Everyone in my family was born with a green thumb. Mine is not even a little green. As in, I can’t keep anything alive for even 5 minutes……well, except for weeds. I can grow weeds really, really well! J BUT we have some experts here at Nelson’s that can help you with whatever you need to get and keep your garden growing. From fertilizer, insecticide and garden tools to sprinklers, soaker hoses and weed block, we’ve got you covered. Speaking of Weed block get this “it actually BLOCKS the weeds from coming up!! !” So you don’t have to pull weeds, ever!! Maybe I will reconsider this gardening thing…. Do you have a garden pest that’s chewing on the fruits of your labor? We can help you identify what it is (if you don’t already know) and figure out the best way to get rid of them. We can also get you the proper tools to make working in your garden a breeze. Whether you need a wheelbarrow or garden cart, a kneeling pad and garden seat or a shovel and hoe. We have a lot of choices for them all. Don’t forget, when you start harvesting your garden we also have all you need to can and preserve your vegetables but that’s a BLOG for another day. We would love to help you with all of your lawn and garden needs.